By simply following the 4 easy steps below you can't go wrong! Pay for your race through Paypal or credit/debit card. Once you have purchased the race you will receive a confirmation email. Complete the race at a time and place that best suits you. It could be round the streets, on your own, with a friend, on a treadmill/ exercise bike etc. The race distance must be completed within the designated time frame, which will be specified in the race info and the confirmation email. 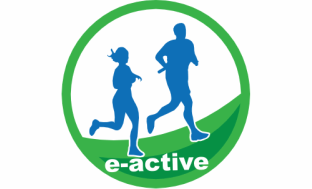 ​Email proof of race completion to admin@e-active.co.uk. This should include full name, name of race entered and photographic evidence showing time/distance from GPS watch, fitness tracker app etc. If you do not wish your results made public please state in this email. Check out race times in our leaderboard. Feel free to post pictures to our Facebook and Twitter!